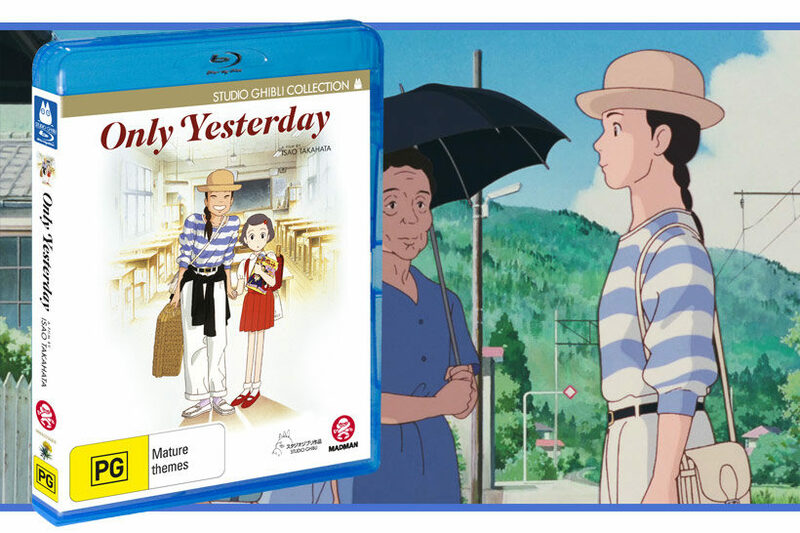 Back in May we had the opportunity to review Only Yesterday on DVD, but with Madman recently releasing it on Blu-Ray, we thought it was a good opportunity to revisit Takahata’s delightful tale in HD. For those wanting a strong synopsis of the plot I’d recommend you read Calo’s review of the DVD edition, but for the sake of completeness we’ll cover it in brief here. 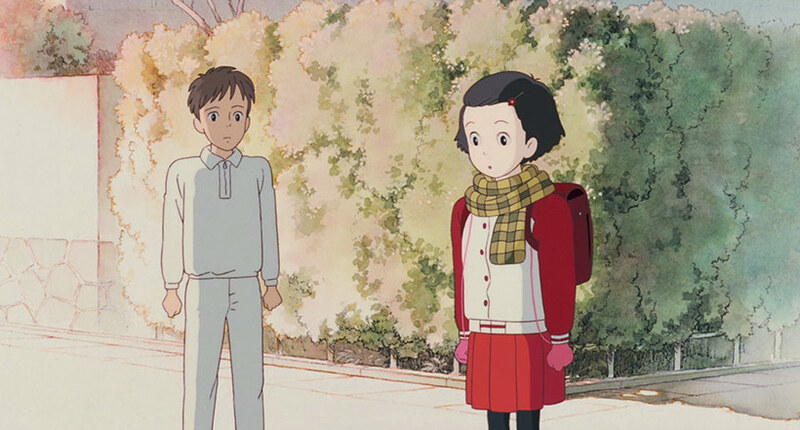 Only Yesterday is the story of Taeko, a lifelong Tokyo resident who yearns for country life. Unmarried, in her late 20s and living in the city on her own in 1982, we follow her annual journey to work in the fields while on break from her day job. As she gears up to head out of the concrete jungle we’re given a tour of her childhood in a busy household circa 1966, with older sisters intrigued by the rise of 60s mod rock and enamoured with Takarazuka actresses, her well-meaning mother and stoic, traditional father. 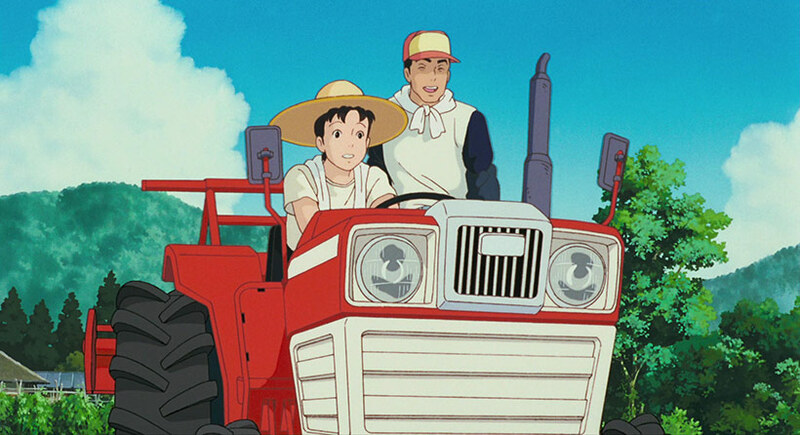 In the present, Taeko lovingly exchanges slacks for workpants to hit the fields alongside generations of farmers dedicating themselves to the dying art of agriculture in a country increasingly moving towards mass-urbanisation. This ultimately serves as the backdrop for the meat of the story, which is a reflection of Taeko’s relationships with family, friends and classmates as a young girl alongside her present-day relationships with the farming families in Yamagata. In this sense it’s very much a contemporary drama, taking us intimately through Taeko’s trials as a child and her choices and regrets as an adult. Its pace is methodical and engaging, but hyperbolic action is firmly banished outside some moments of childhood reflection to focus on the interaction between the main players, especially her relationship with local organic farmer, Toshio. 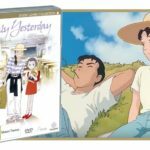 Only Yesterday premiered in Japanese cinemas in 1991 to critical and commercial acclaim but flew under the radar in the West until completionists and Ghibli fans started investigated the studio’s film lineage. Directed by Isao Takahata, Only Yesterday offers a faint echo of the director’s moving predecessor, Grave of the Fireflies, insofar that it was adapted from a previously published work and it sets itself as a character-driven drama. 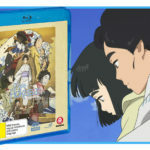 In all other senses it really does present a contrast to its forbearer, offering insight to Takahata’s ability to deliver humour, nuance and stir feelings of comfort and nostalgia beyond the borders typically defined by culture or language. The film’s visual lyricism flits between Taeko’s childhood in 1966 and her experiences in present day life in 1982, offering subtle changes in linework, composition and the use of incidental animated touches to contrast Taeko as a child and an adult. Choices of colour inherently give a sense of life between both eras, and the selective use of vignette-style compositions in many background elements resonates with this common artefact (deliberate or incidental) in photographs from the era. We also see other elements familiar to Studio Ghibli productions in its use of gentle surrealism with flourishes that are by no means necessary to the film, but add so much to the production. Taeko’s performance in the school play is in many ways self-reflective of the production and direction of the film, where she stumbles upon the realisation that giving depth to her minor role’s performance is about the un-said and the under-delivery that ultimately sees her steal the show. This crops up again and again, in something as simple as the emphasis on facial expressiveness in Taeko as an adult against the finely drawn animation that adds unusually subtle depth to her animated younger self. Other gentle hints of the period’s popular culture are stamped throughout – her deliberately stylised doe-eyed expressions are reminiscent of foundational shoujo manga heroines and the black and white puppet productions are reproduced as subtle reminders of the era or dominate the re-creation of her current reality (people cleverer than I noted their resemblance to characters from the Lupin III universe). Then there’s the efforts gone into replicating and gently stylising work on the farm as Taeko slugs it out in the fields, picking crops or weeding rice paddies. There’s also more than a hint of the studio’s creative lineage in the driving sequences that should give anyone who has seen the Castle of Cagliostro a knowing smile. 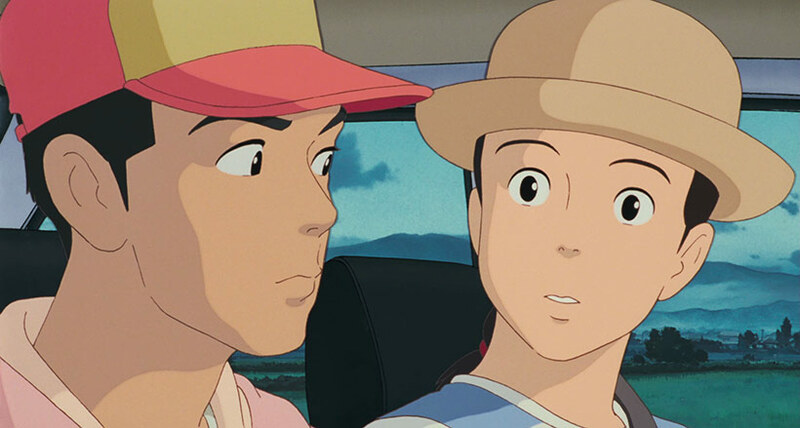 The production’s approach to its visual exploration flows through to the audio design – actor performances sit firmly within dramatic styles, though its understated approach isn’t unique to Only Yesterday as this is a recurring theme in many Studio Ghibli films where hyperbolic acting seems to be generally discouraged in favour of individual expressionism. The leads offer a genuine warmth, and Taeko’s time as a child simultaneously embodies the precocious naivety of primary school children. The score is a little different to a typically Hisaishi production, mixing in foreign folk songs with an otherwise understated affair that lends, rather than overpowers, what’s happening on-screen. It’s very much this gentle interplay of visual and aural queues, in addition to an otherwise compelling narrative of finding your way under the blanket of nostalgia, that lend the film a beautiful, confident strength. This release mark’s the first time it has been available locally on Blu-Ray, and the package is excellent. 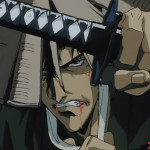 Transfers have come over well, and for the first time we have a newly-produced English dub. 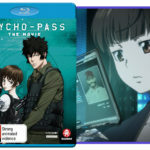 Extras are interesting, featuring a documentary made around the time of the film’s release, storyboards and some behind the scenes featurettes that also cover the new English dub. Only Yesterday is in many ways a beautiful slice of life drama, demonstrating how animation can explore the complexities of human nature. It is an excellent example of how Studio Ghibli are master storytellers, and indicative of Takahata’s skill as a director that it accomplishes this with quiet aplomb. Understated, confident and a pleasure to watch – it’s criminal I’ve taken so long to watch this one, but the wait in no way dampened my appreciation for it. Very highly recommended.